Recovering from an injury is no picnic. This is especially true if you’ve been injured by someone else. But with the right steps, you can be well on your way to wellness. One of those steps includes eating the right foods. If you’re currently suffering from an injury and looking for a way to heal more quickly, consider adding these healthful foods to your diet. Because you want to stay healthy, you need foods rich in vitamins. Lean meats, such as a burger made from 95% lean beef, means more protein and iron, which are essential nutrients when it comes to recovery. Vitamin C is very important for boosting the immune system and getting antibodies to work where they are needed most in the body. It is also an essential vitamin to maintaining cartilage and bone tissues. All in all, a good dose of oranges, lemons, grapefruit, or limes will infuse your body with the vitamin C it needs to stay strong. Potassium is essential for muscle repair, and bananas are one of the best foods to find it. Sweet potatoes, tomato sauces, and beet greens are also great sources of potassium if bananas aren’t your thing. If you’re going to heal quickly, you need a lot of fluids and electrolytes. Melons are the perfect way to stay hydrated while receiving healthy electrolytes such as sodium, potassium, and chloride. Foods rich in omega-3s are a very important component in healing, and there’s no better place to obtain that nutrient than through fish, especially salmon and char. Not only are nuts and seeds a good source of protein, but they are also a healthy source of zinc. The tissues in your body need a sufficient amount of zinc, and the more zinc you take in when you are injured, the more swiftly you’ll see results. Whether or not eating carrots improves your eyesight, you can rest assured that it will promote healing from a muscle or bone injury. Carrots are an excellent source of vitamin A, which white blood cells need to work properly when fighting off infection and viruses. Protein is important for muscle development and recovery. White meats, such as chicken breast, are among meats with the highest protein content, and are therefore on the list of important foods to eat during recovery. Kale is one of the most beneficial greens out there. Though it may not taste the best raw, when fried or mixed into green smoothies, it delivers delightful sustenance as well as iodine, calcium, magnesium, potassium, and omega-3s, all important nutrients for healing. 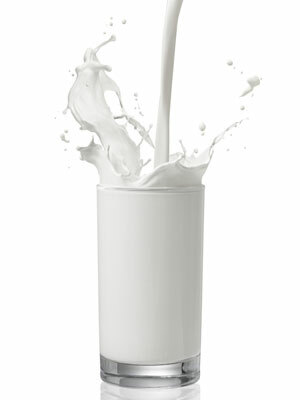 Milk and other dairy products are excellent sources of calcium. In order for your bones to be healthy, strong, and resilient, you need to meet your daily levels of calcium. Three servings of dairy per day should do the trick.